Dillin manufactures one of the highest speed cap and lid sorters in the industry. Dillin’s Slat Sorters are fully automated and stand alone, monitoring product flow and system conditions. Ethernet ability provides communication with downstream equipment. 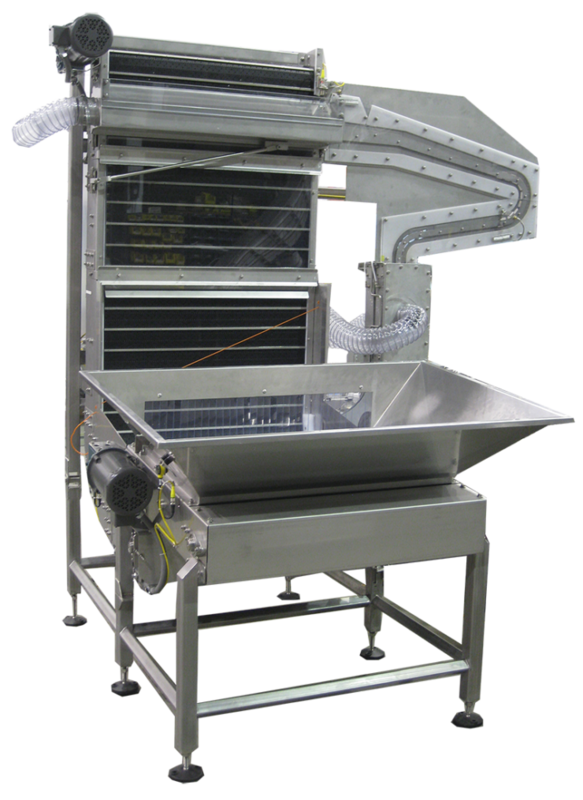 Dillin’s AIR Rejector sends any backwards caps or lids back into the feed hopper virtually eliminating any miss oriented lids from being delivered to downstream equipment. Optional hydraulic dumper available for bulk feeding the sorter hopper. Optional AIR Rejector eliminates miss oriented lids.